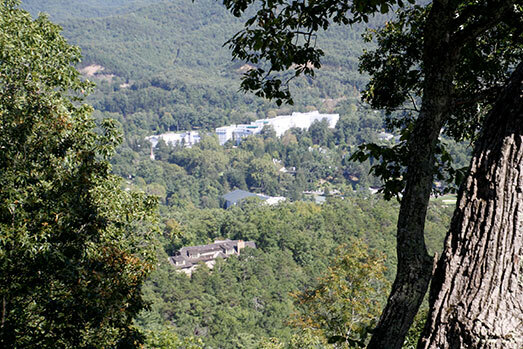 WHITE SULPHUR SPRINGS, West Virginia (Oct. 5, 2015) — Three home sites in the Greenbrier Sporting Club, the elite community whose members enjoy access to all the amenities of the famous Greenbrier, are being offered in a sealed bid auction, with Woltz & Associates managing the sale. “It’s just hard for anyone to imagine a more luxurious setting, with stunning mountain views and access to some of the world’s best golf, tennis, swimming, skiing, hunting, fishing and gaming facilities,” said Russell Seneff of Woltz & Associates. “The Greenbrier is a National Historic Landmark that has been welcoming guests since 1778. And the people who are lucky enough to own one of these home sites will be able to call all of this their home,” he said. Lot 103 Wilson Ridge, in the “Ridges on Greenbrier Mountain” part of the Sporting Club. This site, which has panoramic views of the hotel, mountains and golf course, will sell to the highest bidder over $299,000. Lot 122 Jackson Ridge, an elevated site surrounded by long-range mountain views. It will sell to the highest bidder over $199,000. 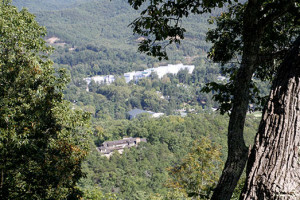 Lot 8 Grants Gap, just above the Old White TPC Course, near all of the resort amenities. It will sell to the highest bidder over $195,000. “The Sporting Club spans the entire 10,000 acres of The Greenbrier, and those who create their dream estates there will have full access to everything the resort offers, including exclusive members-only amenities such as the nation’s first golf course,” said Seneff. Woltz personnel will be available to provide detailed information and accommodate showings from noon to 3 p.m. on Tuesday, Oct. 20, and Sunday, Oct. 25. Sealed bids are due by 4 p.m. on November 3. Individuals seeking additional information may call 800-551-3588 or visit www.woltz.com. Woltz & Associates, based in Roanoke, Virginia, is a leading auctioneer of high-value commercial, residential, recreational and agricultural real estate throughout the United States, with an emphasis on the Mid-Atlantic Region.